Nuke Pro: Do Water Dams Create Earthquakes? It Appears So. Do Water Dams Create Earthquakes? It Appears So. I am a large believer in hydroelectric power. I think we need to do more of it, even at the expense of some frogs and such. However, is there a larger price to be paid for some of these dams? 2008, at least 300 million metric tons of water accumulated with additional seasonal water level changes in the Minjiang River Valley at the eastern margin of the Longmen Shan. This article shows that static surface loading in the Zipingpu water reservoir in- duced Coulomb failure stresses on the nearby Beichuan thrust fault system at <17km depth. Triggering stresses exceeded levels of daily lunar and solar tides and perturbed a fault area measuring 416±96km2 . These stress perturbations, in turn, likely ad- vanced the clock of the mainshock and directed the initial rupture propagation upward towards the reservoir on the ”Coulomb-like” Beichuan fault with rate-and-state de- pendent frictional behavior. Static triggering perturbations produced up to 60 years (0.6%) of equivalent tectonic loading, and show strong correlations to the coseismic slip. Moreover, correlations between clock advancement and coseismic slip, observed during the mainshock beneath the reservoir, are strongest for a longer seismic cycle (10kyr) of M>7 earthquakes. Finally, the daily event rate of the micro-seismicity (M≥ 0.5) correlates well with the static stress perturbations, indicating destabilization. The Wenchuan earthquake of May 12, 2008 occurred in the Sichuan province of the People’s Republic of China. This M7.9 event ruptured along the border of the Longmen Shan margin of the Tibetan plateau in the West and the Sichuan basin in the East. The earthquake’s nucleation point was at Long=103.364 and Lat=30.986 at about 16 km depth. The epicentral error is 5 km and the focal depth estimation error is 10 to 15 km (Huang et al. 2008). et al. 1995). This intra-continental region has been extensively studied both prior to and after the M7.9 earthquake in 2008, including a) paleo-seismicity studies (Burchfiel et al. 1995; Densmore et al. 2007; Zhang et al. 2009; Zhou et al. 2007; Burchfiel et al. 1995; Chen et al. 1994), b) instrumental recordings of the seismicity prior to and after the mainshock (1970-2009) (Hu 2007; Lei et al. 2008), c) inversion data analyses of teleseismic body waves of the mainshock (Wang et al. 2008a; Zhang et al. 2009), d) studies on coseismic ground deformations (Lin et al. 2008; Zhang et al. 2009). Finally, the trigger mechanism of the 2008 M7.9 Wenchuan earthquake has been debated since the earthquake’s occurrence (Klose 2008; Lei et al. 2008). Some studies suggest that the mainshock might have been triggered by pore pressure diffusion within the earth’s crust resulting from a nearby artificial lake, the Zipingpu water reservoir (Lei et al. 2008; Ge et al. 2009). Other studies reject the hypothesis of triggering due to pore pressure diffusion (Deng et al. 2010; Gahalaut and Gahalaut 2010). It can be anticipated that the earthquake cycle was already in its late stage in 2005 and close to failure conditions, because the Wenchuan earthquake ruptured in 2008. But, did the surface loading affect the earthquake cycle and the initial rupture? How many years of equivalent tectonic loading would the artificial loading advance the clock of the mainshock and how much of the coseismic slip would it produce? 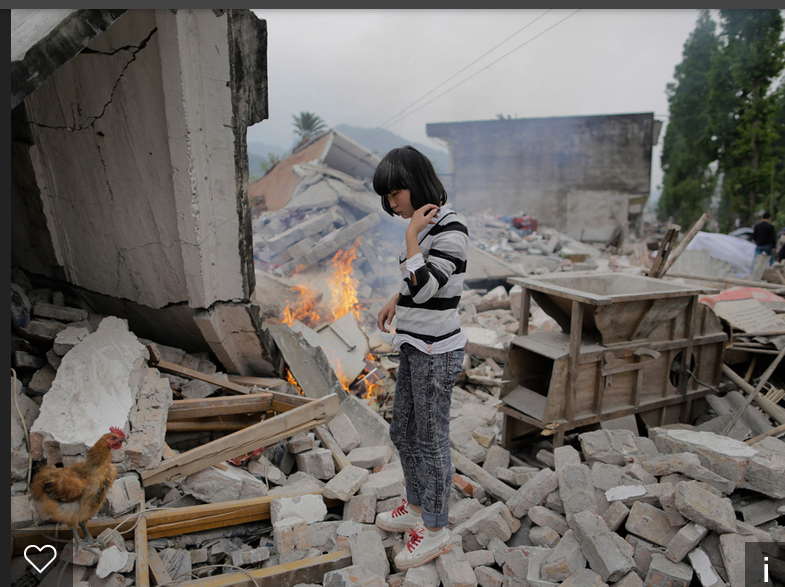 Wenchuan earthquake by several decades. Yep, we don't need to add danger to our Toxic environment, lol, ouch. Actually if you think about ot, we have only scratched the surface of the total uranium in the earths core. If you do the calcs, natural transmuted to plutonium and/or spontaneous fission happens more than you would like to admit. Thus its qyite possible there are mini Oklo's occuring deep in the earths crust. Radiation does heat the core. Its quite entirely possible all life on this planet is made possible by the physics you hate. Hate is bad.